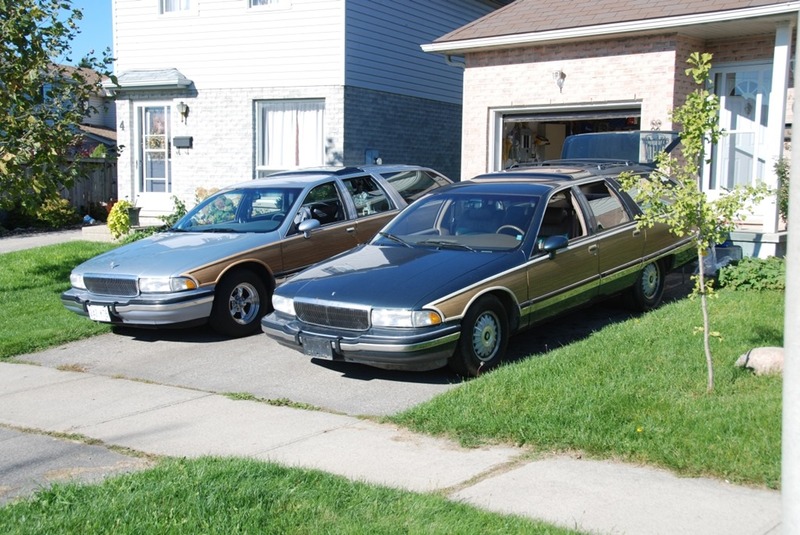 The Buick Roadmaster wagon interior replacement went relatively well last fall. 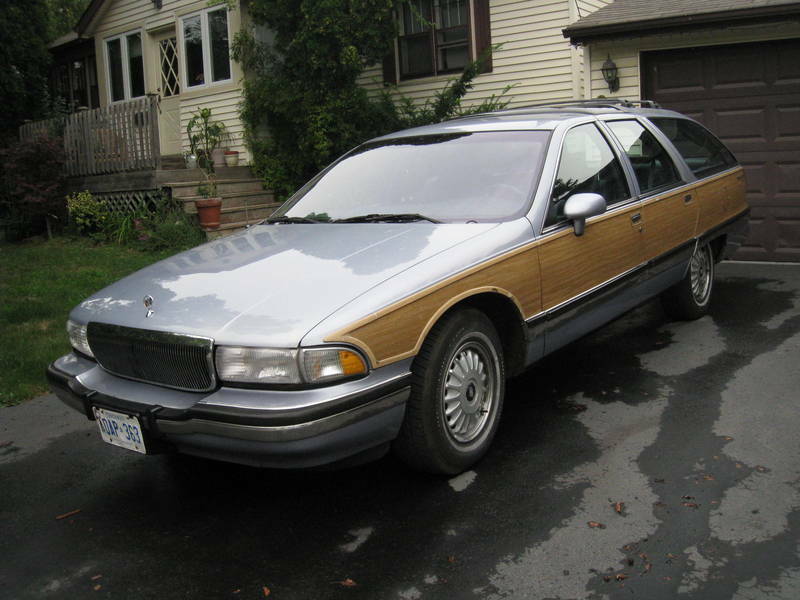 Since then the Roadmaster has been languishing in the garage waiting for the weather and free time to finish up the last of the work. 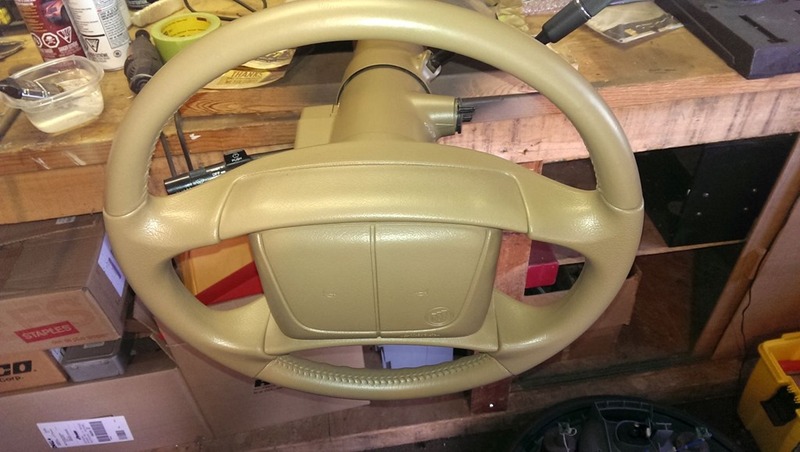 One of the big hurdles for me has been the colouring on the steering wheel. 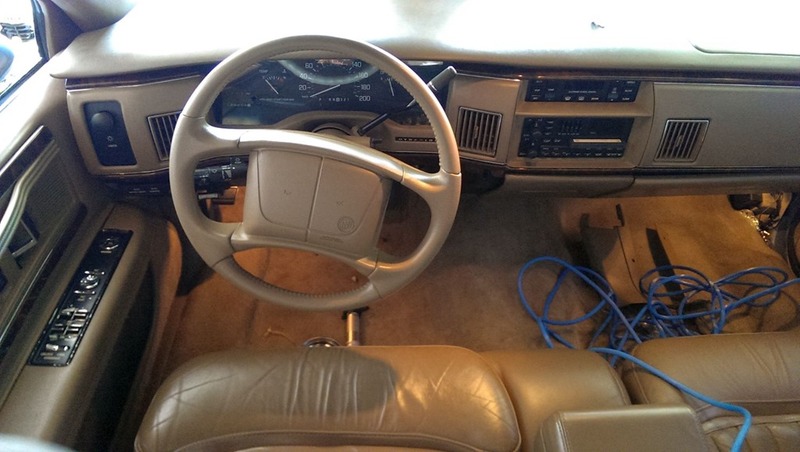 Like most of these beautiful B-Bodies, the interior lacks quality both in engineering and installation. 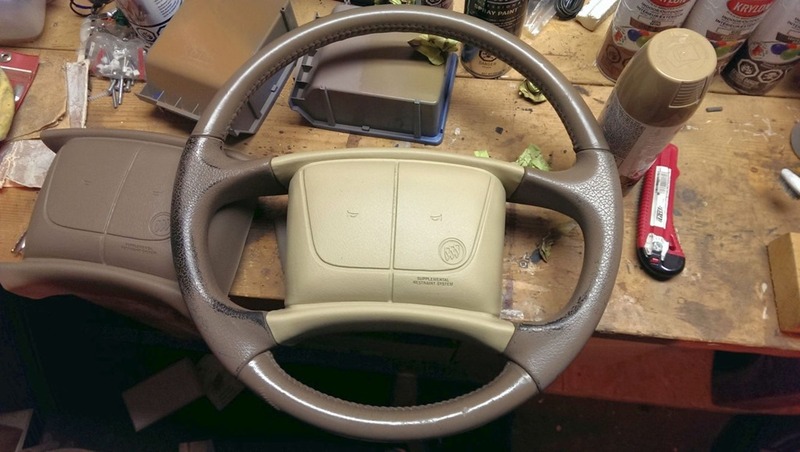 The colouring on the steering wheels is known to rub off making for quite an ugly mar on the interior. 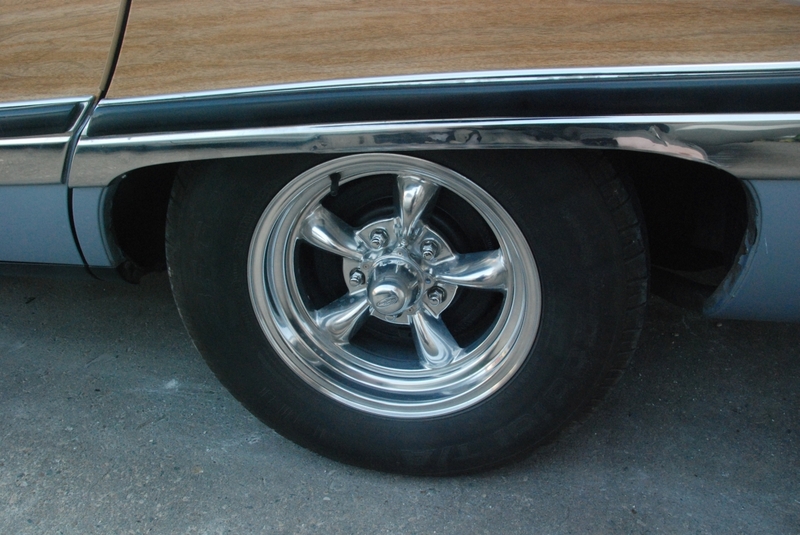 You can see the black marks on the wheel where the dye had rubbed off as part of normal wear and tear. 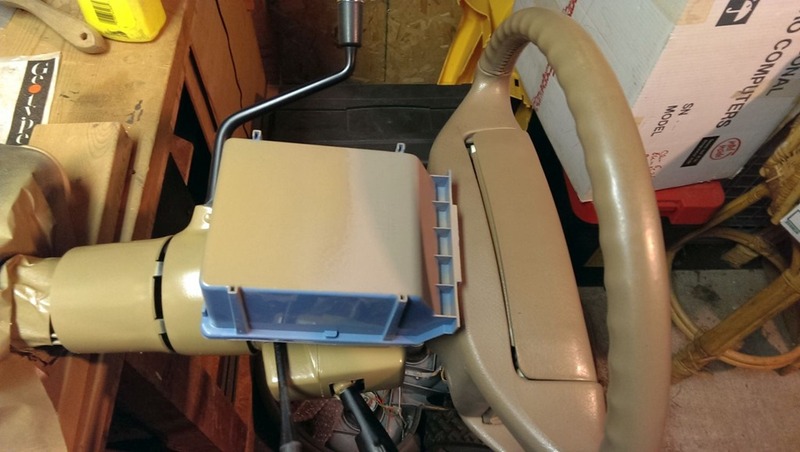 I spent the winter trying to find an appropriate paint to recoat the steering column. 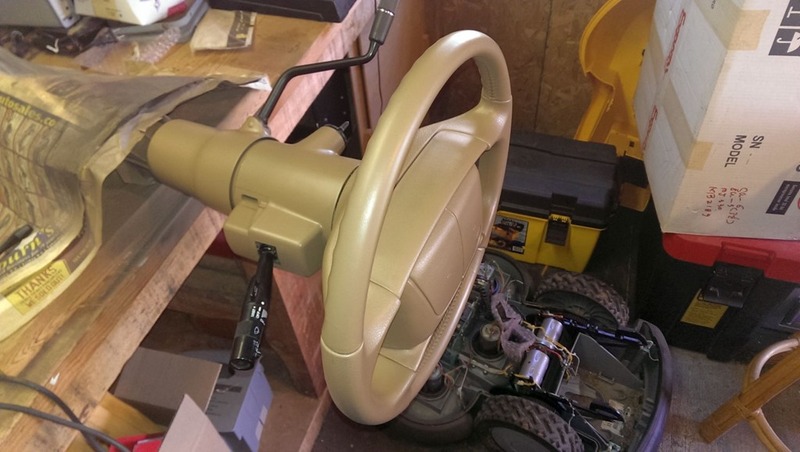 I didn’t expect that I would be able to find supplies suitable to recoat the flexible plastics of the steering wheel itself so I planned to leave that for another day. I had heard that SEM products were the best way to re-colour an interior but I had some difficulty in finding a supplier here in Canada that carried SEM. Thinking that Duplicolor’s Fabric and Vinyl paint would do the job I picked up a can in what I though would be a close enough colour. Unfortunately the colour was so significantly different that I just couldn’t accept it. 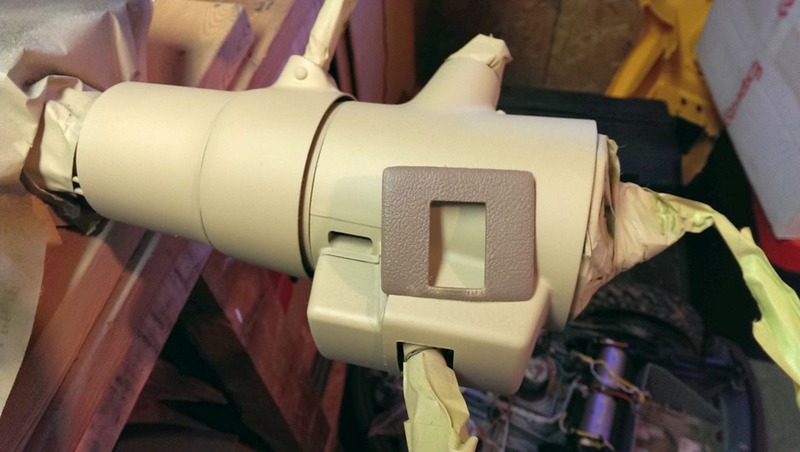 Since the Duplicolor paint was intended for vinyl surfaces I tried it out on a spare airbag that I happened to have. You can see here that, while this is a really nice tan colour, it was far from a match for my wagon’s factory tan interior. It’s possible that I simply chose the wrong colour, but none of the retailers in my area carried anything other than a few basics. Seeing this, I gave up on Duplicolor and moved on to just trying to find any paint that would let the steering column blend even a little bit with its surroundings. Unfortunately that turned out to be far more difficult than expected. It’s really surprising just how many different shades of tan there are out there. Not a one of the 13 different paints I tried out were close enough for me to live with. 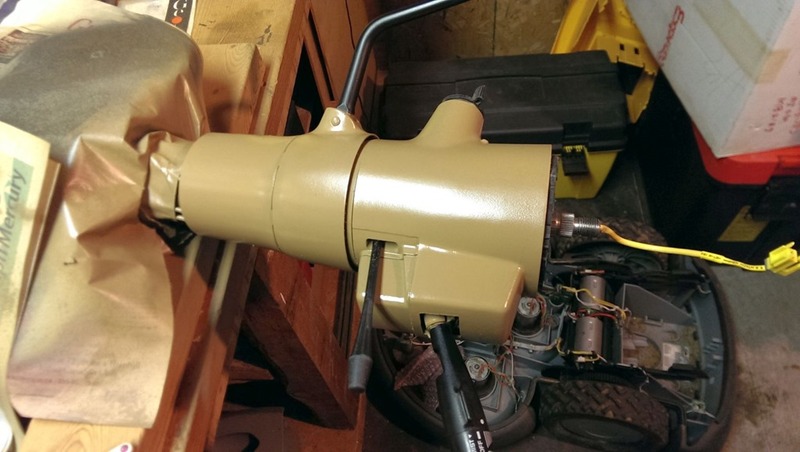 After a little more digging, at long last, I discovered D&W Auto Body Supplies (www.dwautobodysupplies.ca) and managed to get in there for a look. As it turned out, D&W carries SEM paint products and even had Saddle Tan SEM Color Coat on hand right on the shelf. It’s pretty staggering how very nearly exact that SEM Saddle Tan paint turned out to be. 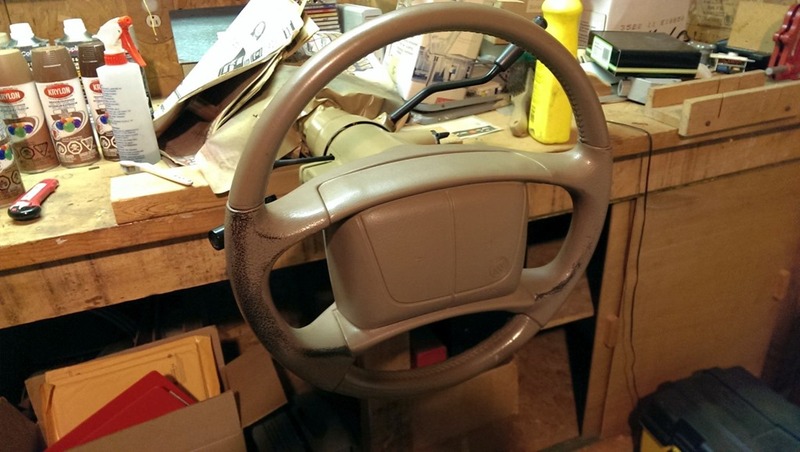 It was so incredibly close that I went ahead and prepped the steering wheel once the column was done. This turned out to be quite a project, and one that I never expected to have to undertake. Much like any project the right answer was perseverance, tinkering, and a little trial and error to find exactly the right solution to the problem. I’m extremely happy with how it turned out and that’s exactly the sort of result that provides the drive and motivation to move to the next project.